Protera’s Managed Office 365 Productivity Suite, powered by Microsoft and enhanced by the Protera AppCare Platform, combines the benefits of increased mobility, enhanced productivity capabilities, and the real-time collaboration that comes with Microsoft Office 365. With Protera’s always on, dedicated support, powerful Email Continuity and Threat Protection solutions coupled with efficient onboarding services help to simplify your move to the Cloud and to seamlessly manage your Productivity platform. 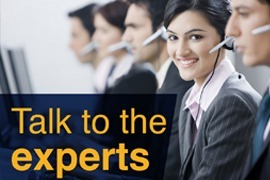 Protera provides dedicated 24×7 administrative and end-user technical support from trained experts. Committed, accelerated response times and a direct escalation path to Microsoft help to mitigate the barriers to resolution. Protera’s real-time monitoring gives your IT team valuable insight into the performance and integrity of your most critical application environments.